Do you long for spring as much as we do? The sun gives that little extra heat, the flowers waking up and the light. It might be time for the first coffee outside? 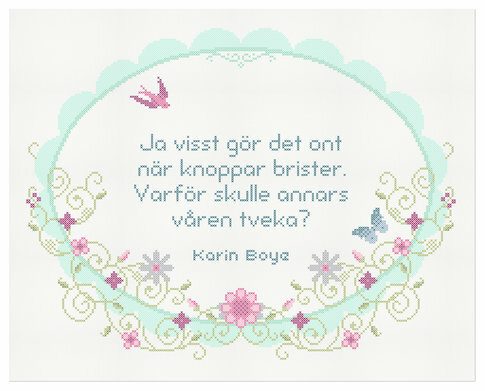 Bring your embroidery kit with you and sew some cross stitches. 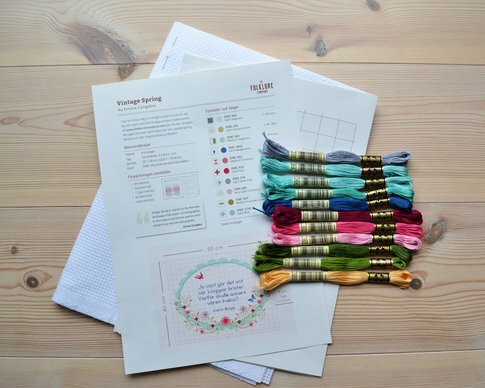 Actually, if all you want to do all spring is to embroider – we're with you! 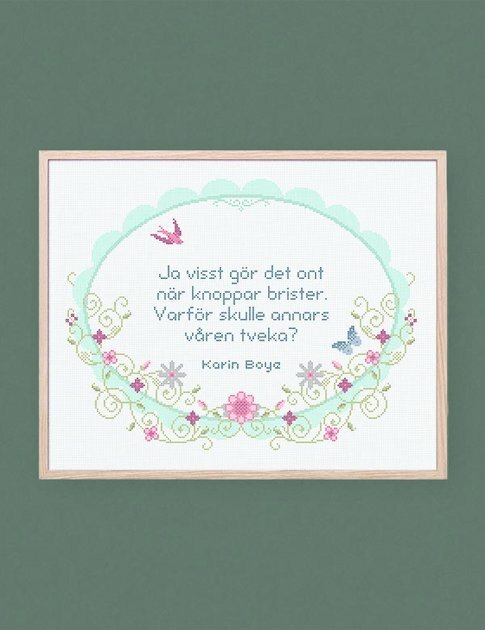 With the famous words of the Swedish author Karin Boye, you can create a beautiful wall hanging that fits throughout the year. 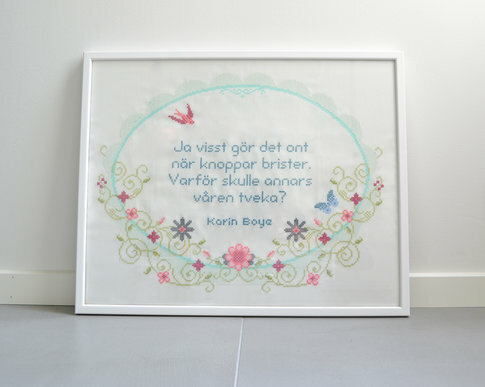 Embroidering is like doing mindfulness, you relax ad take that well needed break in your everyday life and all of a sudden you have created your own interior detail. Go out and enjoy the sun!